For an earlier British MP, see Francis Pym (1756–1833). 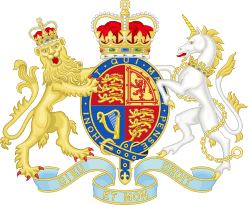 Francis Leslie Pym, Baron Pym, MC, PC (13 February 1922 – 7 March 2008) was a British politician. A member of the Conservative Party, he served in various positions in the Cabinet in the 1970s and 1980s, including Foreign Secretary, Defence Secretary, Northern Ireland Secretary and Leader of the House of Commons. He was Member of Parliament (MP) representing the constituencies of Cambridgeshire (1961–83) and South East Cambridgeshire (1983–87), and was made a life peer in 1987. Pym was born at Penpergwm Lodge, near Abergavenny in Monmouthshire. His father, Leslie Pym, was also a Member of Parliament, while his grandfather, the Right Reverend Walter Ruthven Pym, was Bishop of Bombay. He was not a descendant of the 17th century Parliamentarian John Pym as has been commonly held (see Pym's own published family history). He was educated at Eton, before going on to Magdalene College, Cambridge. For much of the Second World War, Pym served in North Africa and Italy as a captain and regimental adjutant in the 9th Lancers. He was awarded the Military Cross, and he ended his military service as a major. Pym was a managing director and landowner before he went into politics. 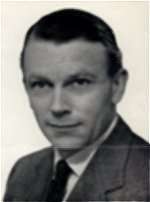 Pym entered politics as a member of Herefordshire County Council in 1958. He contested Rhondda West without success in 1959 and entered Parliament in 1961 at a by-election as Member of Parliament for Cambridgeshire. He held the seat until 1983, and was MP for Cambridgeshire South East 1983–87. He was an Opposition whip from 1964 and served under Edward Heath as Government Chief Whip (1970–73) and Secretary of State for Northern Ireland (1973–74), and Margaret Thatcher as Defence Secretary (1979–81), Leader of the House of Commons and Lord President of the Council (1981–82). He became foreign secretary during the Falklands War in 1982 following Lord Carrington's resignation, but was removed by Margaret Thatcher in 1983 after her second election victory. Pym was a leading member of the Wets, Tories opposed to Thatcherism. During the 1983 general election campaign he said on the BBC's Question Time that "Landslides don't on the whole produce successful governments". This was publicly repudiated by Margaret Thatcher and he was sacked after the election. Shortly afterwards, he launched a pressure group called Conservative Centre Forward to argue for more centrist, One Nation policies. But with Thatcher at the height of her powers, it was unsuccessful. He stood down at the 1987 election and was created a life peer as Baron Pym, of Sandy in the County of Bedfordshire on 9 October 1987. He was the author of The Politics of Consent published in 1984 after he left office. The book is a guide to the Wets' opposition to Margaret Thatcher, both to her leadership style and policies. He was portrayed by Jeremy Child in the 2002 BBC production of Ian Curteis's The Falklands Play and by Julian Wadham in the 2011 film, The Iron Lady". Pym died in Sandy, Bedfordshire on 7 March 2008 after a prolonged illness, aged 86. ↑ Theakston, Kevin (2 July 2004). British Foreign Secretaries Since 1974. London: Routledge. p. 141. ISBN 9780714656564. Retrieved 22 November 2014. ↑ The London Gazette: (Supplement) no. 37386. p. 6074. 13 December 1945. ↑ "Francis Pym : Obituary". iAnnounce. Northcliffe Media. 7 March 2008. Retrieved 13 October 2010. ↑ The London Gazette: no. 51091. p. 12695. 14 October 1987.